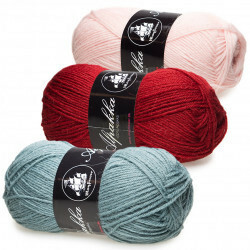 If you fancy the softest and finest yarn available, Alpaca is for you. The fibre comes from alpacas, that are similar animals to lamas. 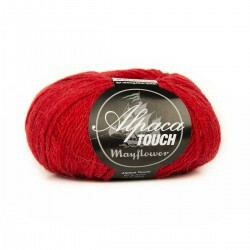 However, the coat of the alpaca is a lot thicker and especially the undercoat is very popular in the yarn industry. What makes alpaca fibre so special is the softness and lightness - not to mention that is is 100 % itch free. 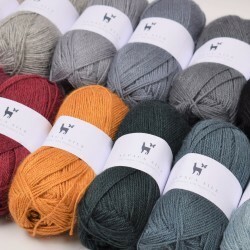 To top it off, the alpaca yarn is completely free of chemicals, meaning that it is completely unprocessed, only washed, which makes it an allergy friendly yarn choice. 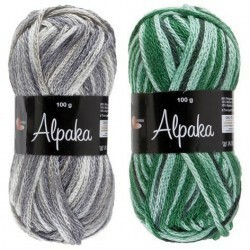 Alpaca yarn is, without a doubt, a high class yarn of supreme quality. It is comfy with a natural sheen, making it very suitable for knitting and crocheting garments like cardigans, tops, and jumpers or mittens, hats, and scarves, because it is warm but at the same time allowing for heat regulation, so you will not break a sweat. It can also be used for summer garments, since the Alpaca fibre takes after the natural habitat of the alpacas and naturally adjusts to temperatures. This amazing quality gives you endless possibilities. It differs whether people like to work with alpaca fibre or not. Some may feel that it is too difficult to work with - given that it has no memory and gives little or no stability to the shape. This issue is often addressed by adding sheep fibre to the mix in order to add memory to the yarn. Sheep wool, however, has a tendency to itch more than the alpaca, which is something to consider before making your choice of yarn. Without a doubt, the versatility of the alpaca fibre will allow you to create an abundance of projects - both knitted and crocheted - for all the seasons of the year. Our large range of different alpaca yarn will also make it easy for you to create exactly what you have envisioned. Our range has no less than 11 different kinds of alpaca yarns, making it possible to endeavor into many different kinds of projects for both winter and summer, children and adults. If you are contemplating crocheting or knitting a delicate summer top, we recommend that you choose the lighter and airy type of alpaca like Drops Air, which is particularly well suited for this purpose. 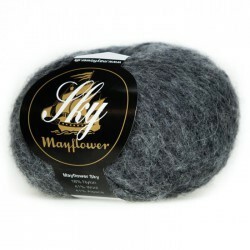 If you, on the other hand, want to start a winter project, you should go for a heavier version of the alpaca, such as the Mayflower Sky, which is great for jumpers, ponchos, and scarves. 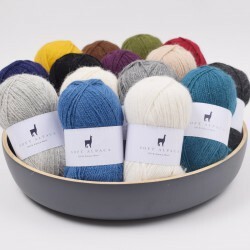 Here at Hobbii.com we want to be among the best and fastest in terms of delivery of alpaca yarn and yarn accessories. Which is why you will always receive your order within three working days of placing your order online. We take pride in our high level of customer services, and you are always welcome to give us a call, if you have any questions about any of our products. You always have the right to return any order placed at our webshop. Please do not hesitate to contact us, if you have questions regarding our alpaca yarn or if you need help placing an order. You can reach us by filling out the contact form, and we will get back to you as soon as possible. You call also call us at tel.no. +45 31 86 33 57 or email us at support@hobbii.com. We look forward to welcoming you as a customer in our shop. Just received my first order of this yarn it is so soft and absolutely beautiful I cant wait to make the baby sweater I have planned for this yarn. I am so pleased with the quality of all my purchases so far. 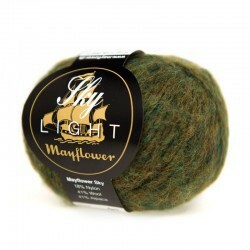 Cant wait for this yarn to go on sale again so I can stock up now that I know of the high quality of it. I am working on a sweater right now using this yarn. It is working up very nicely, the pattern of the sweater is clearly holding up and the yarn is not splitting! I can't wait for the finished product! Price was comparable to other yarns I have purchased. Softness and quality of this yarn was awesome. Would highly recommend this to anyone for shawls and scarfs. Received my parcel and love the softness of this yarn. Can't wait to start working with it. I love this yarn. It is so soft! It is lace weight so I use it as a carry along.